Congress Infinity v. 2.9.2 released! 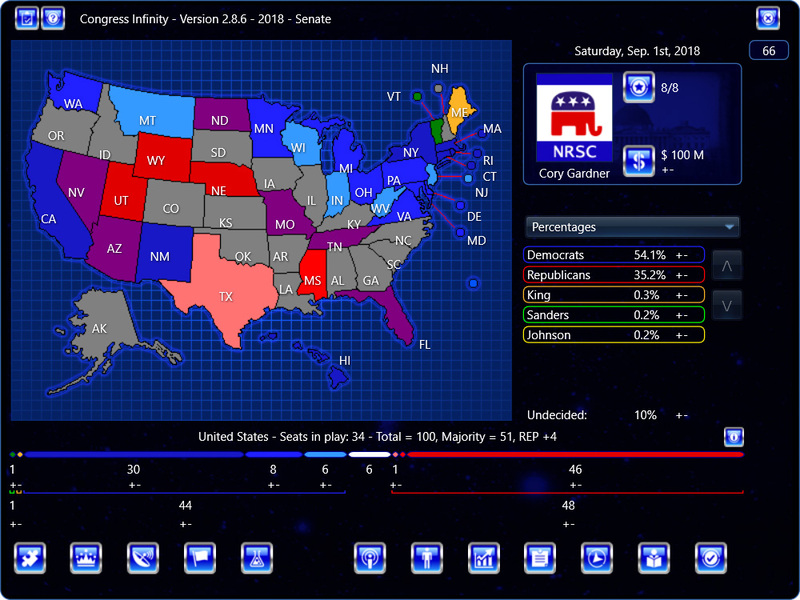 Congress Infinity v. 2.9.2 for Windows and Mac has been released! This update fixes a scandals bug, and adds a temporary file when saving. Do you think the favorability feature will be finished by the end of this month? Probably not, based on the fact he posted President infinity would be released until the December 5th, even though he originally had said september 15, but hey, I don’t know how busy he is. So my humble opinion would be no. Best guess is currently Dec. 5th.